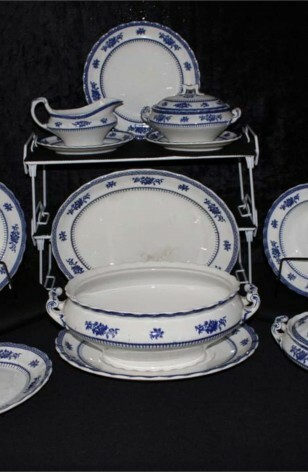 Very sought after, Blue and White Losol Ware China - "Shrewsbury-Blue" Pattern by Kelling & Co., LTD. Produced in 1909 to 1936. This is White with Blue Verge Floral Lip, with Blue Band, and Scalloped Rim. 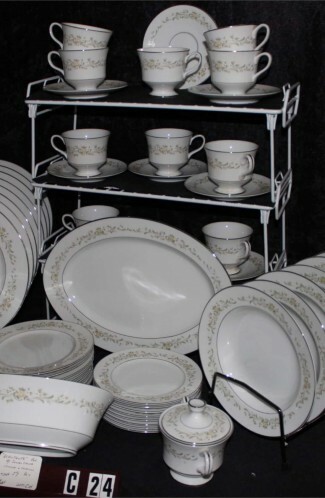 Lightly used Serving Pieces, Platters, and other Serving Accessory Pieces. "Shrewsbury-Blue" has not been manufactured since 1936. A total of (23) Pieces. This is White with Blue Verge Floral Lip, with Blue Band, and Scalloped Rim. 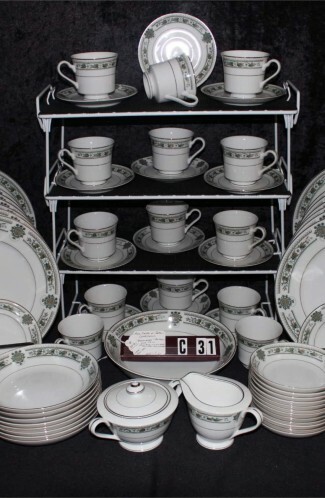 Lightly used Serving Pieces, Platters, and other Serving Accessory Pieces. "Shrewsbury-Blue" has not been manufactured since 1936. 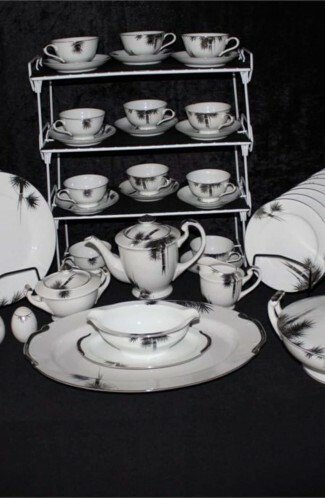 A total of (23) Pieces in good condition unless noted in pictures or descriptions below. 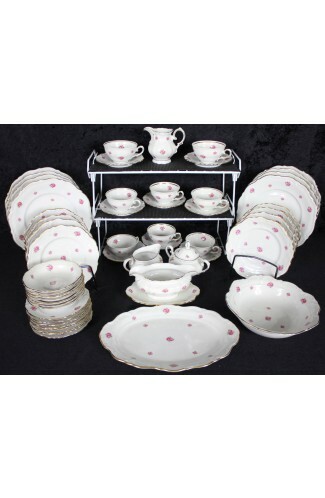 1 - Salad Plate - 9 1/2"